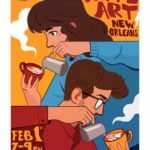 There are several coffee events happening in New Orleans in the first week of February, so here’s a little directory of when/where/what. 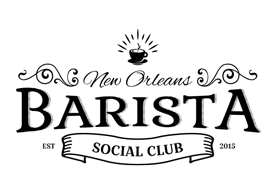 As always, the event hosts are the best source for information, so follow links for complete details. And if we missed anything, contact us! 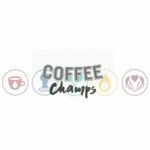 What: Coffee Champs is an event featuring the Qualifying Competitions for the U.S Coffee Championships in Baristas, Brewers, Roasters, and Tasters categories. 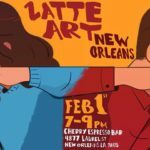 What: Latte Art New Orleans is organized by Coffee District and hosted by Cherry Espresso Bar. 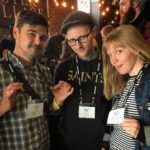 Though there will be a competition, competition is not the theme; the goal is have a good time making coffee with other coffee lovers! What: SCAA Town Hall meeting to discuss Dubai Competitions and the possibility of creating an American SCA Chapter. 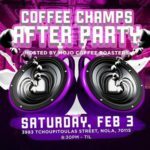 What: Coffee Champs welcome party and carnival-themed latte art throwdown hosted by sponsor Orleans Coffee. 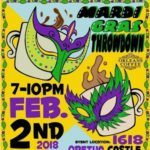 Free food, free beer, music, dancing, and good times. 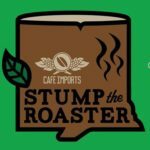 What: Stump the Roaster is focused conversation about coffee roasting. 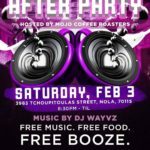 Free food and drinks. 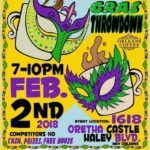 What: It’s carnival time and coffee time in NOLA. The party is free to attend; there will be free food, booze, and music. 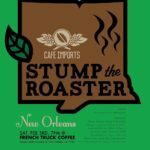 Follow Barista Social Club on Twitter and Instagram at @nolabsc and #tntnola.